Advertising That’s Enough To Give An Aspirin a Headache. | Why Be Tonto? Advertising That’s Enough To Give An Aspirin a Headache. No doubt you’ve endured it. 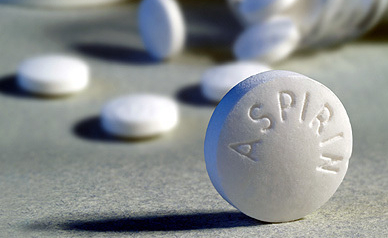 Advertising that’s dull, inert, hectoring … advertising that could give an aspirin a headache. Are you thinking most commercials and content should be ignored? A show of hands at a recent seminar confirmed that thought. After all, when you disrupt people with boring or confusing messaging you’re often in for one thing. Currently there’s a headache-inducing spot for one of the major cable companies. It convinces you that those who approved it are at best sales-challenged. The commercial opens with a price they want you to think is low. Then comes the line: ‘and that’s not a promotional price’. As you patiently wait, they don’t give you the promotional price. If you really wanted to pay less, wouldn’t you put off buying and wait for the promotional price? All urgency is shot to hell. There’s got to be a better way than stumbling along with this sort of confusion. ‘How right you were to wait. This is our best offer yet. But only for the next 48 hours. So calll now for a savings that rewards your patience’. Where did that come from? Not from me. It’s test-proven, moneymaking thinking you can adapt to your advantage from the advertising books by John Caples. Many public libraries have his Tested Advertising Methods and his How To Make Your Advertising Make Money. But there’s a question you might have about John Caples. In the Digital Age why should you read direct marketing books that were published long ago? In the 1960s. What could John Caples tell you about 2015 target audiences and the electronic age? The answer is technology has changed, but one thing remains constant. Your customers and prospects are still human. They react emotionally with their own particular needs and desires. To stop them, to relate to them, to lengthen their attention spans and to create the moment someone buys, we all need ideas as well as technology. That’s where John Caples comes in with direct marketing thinking that can get people to act. The ideas you’ll see in Tested Adverting Methods and How To Make Your Advertising Pay have been proven to get response. They work. Use them and you’re armed with proven thinking that can lower your risk of investing your dollars in marketing. Equally, you’ll see ideas that can make it easier for you to compete. Who’d turn a blind eye to that? As we’re all looking for better response rates, I’m betting John Caples can help you. Look at his ideas as a starting point for your thinking. Use those ideas, adapt them, add to them, make them work for you and your product or service. When you proceed with a John Caples take on selling it won’t be your customers who’ll have a headache. Especially when you lure their customers away.